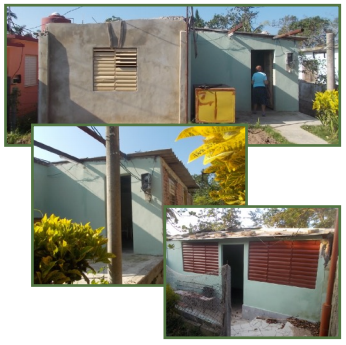 With your help Reapers continues to buy and build houses in Cuba for the dual purpose of parsonage and sanctuary. Most of our work is in the regions of Matanzas, Santa Cruz del Norte and Havana. We purchased paint, windows, doors, brick, rebar and roofing materials and get’er done. One of Reapers most rewarding purchases in 2018 was the property in Paula. Two houses on a beautiful piece of property with fruit trees that backs onto the river and is located on a main road. One house used for the church and the other for the pastor. Prior to this, for six years, the church held services in the forest under a tree. Our goal in 2019 is to invest time and money developing a camp property purchased by the Cuban Assemblies of God. This property will be a blessing to hundreds of families a year. In January Reapers will open its first Hair Salon, providing income for a family, service to the community and give opportunity to share faith. For me personally, my favourite part and highlight remain the church services and pastors conferences. There is such a hunger for God!